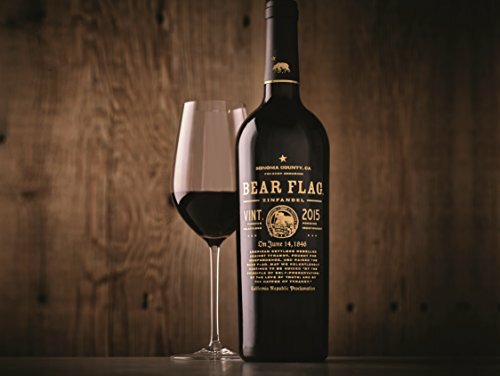 Rich and full-bodied, Bear Flag Zinfandel has flavors of fresh blueberry, ripe blackberry jam, and spicy Zinfandel fruit coupled with oak aromas of toast, vanilla, and baking spices. Round, plush mouthfeel with plenty of volume and length. Rich and full bodied with a plush mouthfeel Flavors of fresh blueberry, ripe blackberry jam, and spicy notes Sonoma County, CA Appellated, Vintage May Vary 92 Points, Wine Spectator Beautiful bottle featuring real gold on label. Makes the perfect gift.